Life Insurance on a Budget – What is the Cheapest Life Insurance Policy? What is the cheapest life insurance policy, and how can you buy life insurance on a budget? Let me walk you through your budget life insurance options. Life insurance isn’t a fun topic to discuss – we put the conversation off in our own household for years (that’s right, not months, but YEARS). What actually made us take the process of shopping for life insurance seriously? Number One: We realized that if my husband, Paul, were to pass, I would not earn enough income to continue working for myself. That is a major life change I would have to make – getting a 9-5 job – right after losing my most special person. Not a good recipe. Number Two: We became parents 3 years ago. While pregnant, we KNEW we had to get this detail taken cared of. 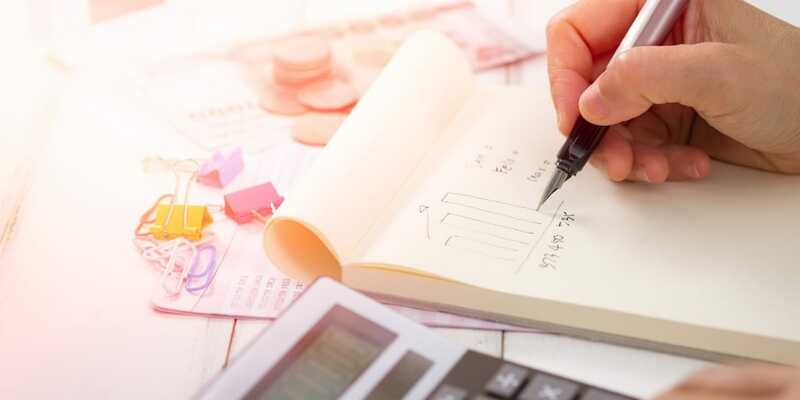 And if you’re working on a tight budget anyway, you’re probably wondering where the heck you’ll find the extra you need to actually buy a policy and protect your family’s way of life. Especially for something like life insurance, where you don’t (hopefully) see any sort of return on the money going out. You should know that there are ways to find life insurance on a budget. For us? Our policy will pay off the rest of our mortgage + pay for my son’s college education (not at a state university, either) in case Paul passes. And we only pay $29/month (my husband, the insured person, was 33 at the time). Let me show you how to shop around for the best life insurance policy – the kind that will help you sleep at night because you’ll be protecting your family’s way of life PLUS you can actually afford it. What is the Least Expensive Form of Life Insurance? You should know that there are primarily two types of life insurance policies – whole life and term life. Whole life insurance covers you for life – it’s lifelong protection, meaning there’s a 100% chance that there will be a payout. That’s why it’s more expensive. The least expensive type of life insurance policy as far as monthly premium payments is concerned, is term life insurance. Has no cash value. (Pssst: does “cash value” interest you? Read more about cash value policies here). (Usually) expires before the insured person passes away. A term life insurance policy is what my husband and I have. The reason we made this decision is because we’re very responsible with our money management, and we’re saving a good amount of money towards our retirement. The two things that worry us the most, financially, are paying the mortgage each month in the event that Paul passes, and paying for our son’s college education. A term policy – one that will expire in 20 years – would cover us for both of those possibilities. Note: a no-medical-exam life insurance policy is probably going to be your most expensive one. Policies that don’t require underwriting are expensive — they’re generally only available for people over 50, and $25,000 of coverage could cost over $150 a month. The best, affordable life insurance for you is the one that will cover you for the length of time you need your loved ones to be protected. This means you’ll need to first consider your financial needs before looking at policies. How long do you need this policy to cover loss wages for the person you want insured? How many years until our children are out of school and on their own? In the event of the insured person passing, what kind of money will the survivors need in order to maintain the current life they have? Do you have any excessive business loans or other loans that the survivor would have difficulty paying off if the insured person died? Remember that when looking at life insurance policies, you want to consider more than just finding the cheapest one. You should know that getting a life insurance policy with a medical exam is generally always going to be cheaper than getting a life insurance policy without a medical exam. Still, you might not have a choice in the matter, especially if you have health conditions, right? You can quickly find quotes for the cheapest life insurance without medical exam here. One of the best things you can do when shopping for life insurance on a budget is to compare life insurance policies. You want to get MULTIPLE quotes from multiple companies, all at the same time. Whether buying life insurance for yourself, or for someone else (keep reading for more info about that), this site does all the shopping around for you, and provides you quotes —> Policygenius.com. ☑️No contact information necessary to get quotes from several companies at once, and these guys are salaried — they don't earn commissions! Shop around for different options. Compare policy to policy and company to company. Look for those insurance companies with a high financial strength rating such as A or better which reflects superior or very strong financial strength, operating performance, ability to meet financial obligations, and more. If you only want life insurance for a specified period of your life, term policies will be up your alley. Term life insurance typically goes for 20 to 30-year periods in which the insurer will have to decide if they wish to renew the policy or let it expire. You would want to know exactly how much you need right when you buy it. The other option is a permanent life insurance policy. What makes this plan appealing is that it is coverage over the course of your entire life. Not only that, this policy has a second component that allows you to gain cash with it, almost like a savings account. It allows you to take something called a policy loan against your cash value, or the saved money from premium payments. Term policies are your cheaper option to go with. They also allow the option to switch to a permanent life insurance if you decide later on. There are several things you can do to save money on life insurance. Only Buy What You Need: Don’t think of life insurance as a big payout for your family if you were to pass away suddenly. It’s not a lottery; it’s your life. So, buy what is needed, not what you hope to get. If you are the primary source of income for your family, have a business or have dependent children, your life insurance policy will be bigger. This results in higher premiums to pay. But if you have no kids, single, your spouse brings in the most money, or maybe you have a substantial cushion in place, you won’t necessarily need as big of policy. Change Your Lifestyle BEFORE You Buy the Policy: This one’s serious. Life insurance companies won’t want to risk their money if your health is quite feeble. What ends up happening is your monthly premiums will skyrocket. If you have the option to re-buy your insurance policy after a certain amount of time or haven’t gotten it yet, consider what your lifestyle is like. A person at a healthy weight who doesn’t smoke and rarely drinks will potentially have smaller premiums to pay compared to a heavy smoker who drinks and lives life dangerously. Bonus tip: Take that medical exam seriously, and do the fasting. Don't eat anything unhealthy within 12-24 hours of taking the test (such as fried foods, or foods high in sugar/cholesterol), and get a great night's sleep. These things will help with getting a lower quote. Compare Quotes from Various Companies: You definitely will benefit from shopping around with life insurance. That’s because, each company has their own algorithm for how to quote people. At one company, you might get quoted $10/month more for being 36 than at another company. You never know until you get those multiple quotes. You can use Policy Genius to anonymously input your information and then get multiple quotes at the same time. Remember that life insurance is not something you want to cheap out on. It’s what will protect you and your family in case of sudden death. 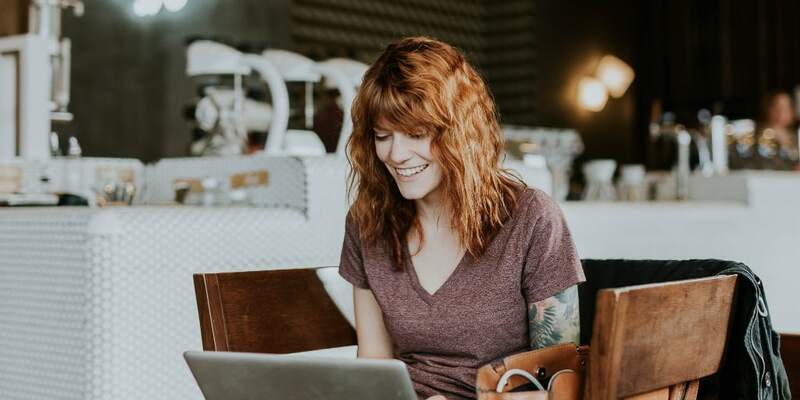 So, instead of going with no policy, shop around to find out what you can get and then find ways in your current budget to allocate a bit more money towards your life insurance policy. 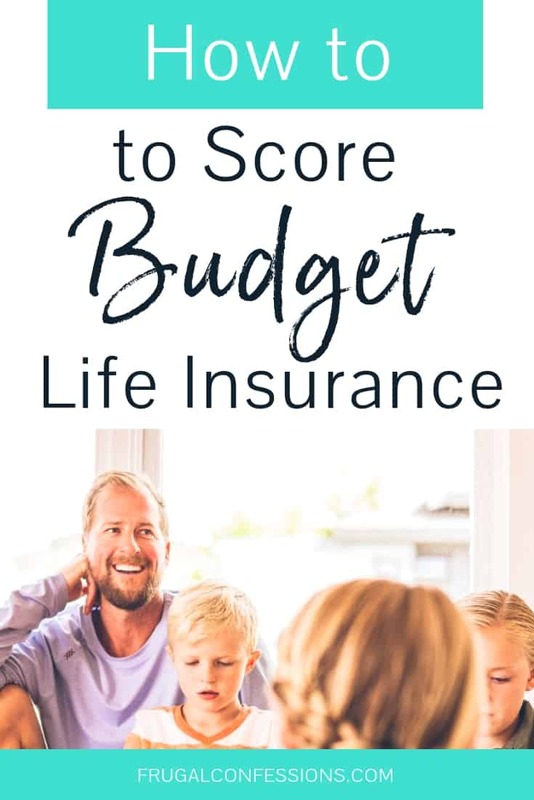 https://www.frugalconfessions.com/wp-content/uploads/2018/02/life-insurance-on-budget-budget-life-insurance.jpg 512 1024 Amanda L Grossman https://www.frugalconfessions.com/wp-content/uploads/2019/02/frugal-confessions-logo-340.jpg Amanda L Grossman2018-02-12 04:03:042019-04-10 19:40:18Life Insurance on a Budget – What is the Cheapest Life Insurance Policy?